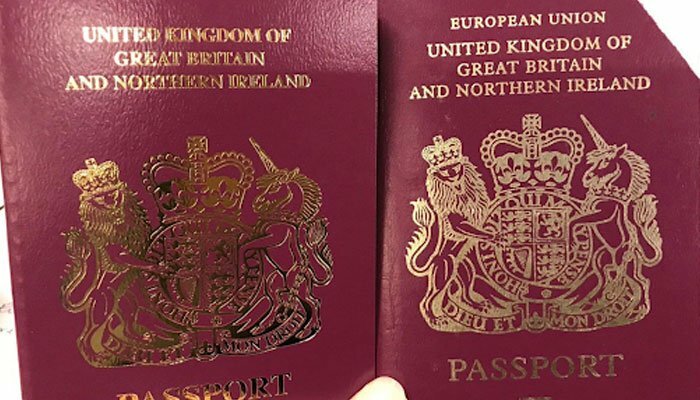 However, it said some newly-issued travel documents would still bear the bloc´s name -- which has sat atop British passport covers -- in a bid to save public money. "In order to use leftover stock and achieve best value for the taxpayer, passports that include the words ´European Union´ will continue to be issued for a short period," a spokeswoman said. British passports have become ensnared in the country´s Brexit divisions after the government announced in 2017 it would return to traditional blue passports "to restore national identity".